Founded in 1998, Gemini Jets is a leading manufacturer of high quality diecast scaled aircraft models and accessories. Their extensive range of diecast models, primarily in 1/200 and 1/400 scales, offers collectors with a variety of high quality model aircraft from airlines all around the world! Using actual aircraft blueprints provided by aircraft manufacturers such as Boeing and Airbus, Gemini Jets ensures absolute accuracy with their products. 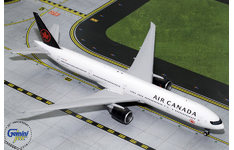 Gemini Jets also offers an extensive range of accessories including highly detailed Terminal Buildings and Runway Mats which allows collectors the opportunity of displaying their collection on a life-like airport configuration. With Australia’s largest range of diecast scaled aircraft models, Collectable Aircraft Wings Australia is your number one supplier of Gemini Jets. Offering an industry leading pre-order and ordering system we allow our customers to order their favourite Gemini Jets models in just a few easy clicks! Product Description: Airline: Aer Lingus Aircraft Type: Airbus A330-300 Registrati.. Product Description: Airline: Aero California Aircraft Type: McDonnell Douglas D.. Product Description: Airline: Aeroflot Aircraft Type: Airbus A330-200 Registration:&nbs.. Product Description: Airline: Aeroflot Aircraft Type: Boeing B737-800w Regist.. Product Description: Airline: Aeromexico Aircraft Type: Boeing B737-700w Regi.. Product Description: Airline: Aeromexico Aircraft Type: Boeing B737-800 MAX R.. Product Description: Airline: Aeromexico Aircraft Type: Boeing B737-800s Regi.. 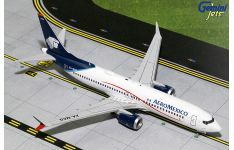 Product Description: Airline: Aeromexico Connect Aircraft Type: Embraer ERJ-190AR .. Product Description: Airline: Aeromexico Aircraft Type: McDonnell Douglas DC-9-1.. 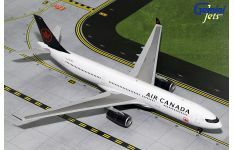 Product Description: Airline: Air Canada Aircraft Type: Airbus A321-200 Regis.. Product Description: Airline: Air Canada Aircraft Type: Boeing B737-800 MAX R.. 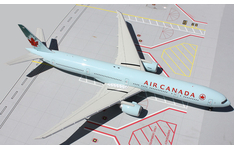 Product Description: Airline: Air Canada Aircraft Type: Boeing B777-300(ER) R..